I'm so sorry for those who were dinged. I was dinged by 3 schools last year and it hurt a lot. It's clear that great candidates were denied this time and I think you need to be lucky to be accepted this late in the process. It's not just about being a good candidate or a good fit. Maybe many people with a similar profile to yours were accepted before. I wish you all the best at other schools. I will visit UW on April 3rd, 4th and 5th and won't be able to go there for the Welcome Weekend. I will be happy to meet anyone visiting the school at the same time I will be there. I'm just a little bit sad because I didn't receive any kind of scholarship from Foster. It seems that the scholarship awards are already taken... I got a crazy scholarship from Vanderbilt and more than 50% from Indiana and Wisconsin. In this case, I will probably choose Vanderbilt. I'm going to Vand's Welcome Weekend and I would be happy to meet some of you there. Thank you for your application to the University of Washington Graduate School. Your file has been carefully reviewed by the graduate admissions committee in the Business Administration - Foster School of Business - Seattle Full-time MBA program. Unfortunately, the committee has decided not to recommend your admission. The number and quality of graduate applicants to the University of Washington are extraordinary and these difficult decisions are reached through careful consideration of all applicants to a given program. In many cases, enrollment restrictions are also a factor, limiting our ability to accept all qualified applicants. If you have questions regarding the reasons for this decision, they should be directed to the graduate program: mbaapp@uw.edu. Thank you for applying to the Full-time MBA Program at the University of Washington’s Foster School of Business. Unfortunately, we are unable to offer you a place in our class for Autumn 2016. Due to the high number of qualified applicants, the Foster MBA admissions process is extremely selective. There are always more applicants with good MBA qualifications than we are able to accept. 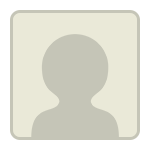 Typically, there is no single component that disqualifies a candidate from admission. The strongest factor in the admission process, and one that the applicant has little influence over, is the competitive nature of the applicant pool. Our admission decisions are final and we only consider one application per academic year. Because admissions factors, such as work experience and test scores, may be improved over time, each year we admit some students who have reapplied after being denied in a previous year. Should you decide to reapply, we look forward to working with you again in the future. I wish you well in fulfilling your educational and professional goals. Would love to hear feedback on the application and interview. I'm old so there is no next year to try again . Sorry to hear about so many dings. I faced the same situation a couple years ago when applying to MBA programs. I was waitlisted after interviewing at McDonough and Tepper, denied after interview at Smith and denied without interview at Foster. Since my (lack of) experience was brought up at each interview I went to, I decided to drop off the waitlists and work for a couple years. I applied to the same programs this year as after another evaluation they were again my top choices (I made sure I only applied to programs I was crazy about). My transcripts are the same, my personality is the same, even my GMAT score turned out to be the same. The results however, have been the exact opposite. I have even received scholarships from the two schools that I received denials from last time. So don't give up. If your heart is set on Foster strengthen what you consider the weak point of your application and reapply next year. Is there anyone applying for R4 on here? If so, has anyone heard anything re: the interviews yet? R4 here. Haven't heard anything about interviews, just got an email last Tuesday that my app has been moved into review. I got that same email, but still no word about the interviews. I'm getting a bit nervous because it seemed like those invitations have been sent out pretty soon after the application deadline in the other rounds. I wouldn't sweat it. They were announcing the last round's results on Friday, so they were probably pretty busy with that. I'd expect them to get around to it by the end of this week. Created a new facebook group for Foster Full time class of 2018. Please join! Just received my video/in-person invite for R4. I got mine this morning, too! Also for both interviews. Do you think it's strange that they're having us do both? No, its a good sign that you received both. Everyone that does an in person interview also does a video interview but not everyone that does a video interview gets an opportunity to do an in person interview. Thanks for the response--that makes me feel a lot better about it. I think the interview invitations came out a bit late this round, so I was getting nervous. Congrats on your acceptances! Have you decided where you'll go? Have you had your in-person yet?! I have mine tomorrow. How did yours go? Any other R4'ers here? Has anyone heard anything yet? That was my first “uh oh” moment (though I didn’t actually use the words “uh oh”) when I realized that I had only one year left in my MBA experience. It’s the feeling you get when you are deeply involved with something (or watching Netflix) and suddenly you realize it’s 3am and you still need to finish that project before your boss gets into the office. I didn’t have that feeling again…until earlier this week, when I realized that I only have 4 weeks left. We had so much time left, and suddenly none at all. As a second-year, coming back to campus after the summer internship felt like a reunion. There was a lot of buzz at PACCAR Hall this first week, as second years swapped stories about their experiences and summer vacations while helping the new batch of first-year MBAs get settled in. After getting to know some of the first-years, you start remembering what it was like to be in their shoes and you can’t help but notice how much you’ve changed after one year in the MBA. I think this feeling lasted about a week before Fall recruiting and extracurriculars went into full swing. One key benefit of being in a Full-time MBA program is that some of the larger companies start recruiting MBAs almost a year before they graduate. This serves as a talent ‘arms race’ where these companies get the first look at the largest pool of MBA applicants before they can accept offers from competing firms. From a student perspective, this leads to a tough choice. Do you go back to the firm that you interned at (if you were offered a full-time position after your internship), do you apply to the limited pool of companies that recruit early, or do you wait until Spring Quarter for all the full-time positions to open up? For me, this led to a lot of sleepless nights, some soul searching, and a bevy of spreadsheets filled with decision matrices. I had no idea that there were so many options to choose from. I bounced around from career path to career path, and it seemed like every week I’d have a new flash of insight. On Monday I would know in my gut that my passion is in Corporate Finance, but by Friday I’d have learned that my real goal in life is to be a Product Manager. By the following Monday I’d realize that I want to work in Operations for the rest of my life. This went on for a few months. After a generous deadline extension, I accepted an offer to join Intel’s Finance team. Suddenly, those finance electives next quarter are looking really interesting. In the ‘advice’ video, I was asked about the right number of clubs to join in your first year. I thought folks should just join a bunch – your interests will change over time and you should explore as much as you can. Club leadership is an entirely different matter. I was only a board member on two clubs (the Foster Veterans Association and the Outdoor and Sports Industry Club), but I gained a deep respect for the amount of effort that it took to organize and execute meaningful events for our members. In addition, I committed to a lengthy alpine climbing course with The Mountaineers, and I decided to bring back the Annual Challenge for Charity Rainier Climb. These last two activities would consume many evenings and weekends to come. After three short months we arrived at winter quarter, which I barely remember because of the great snow season we had here in the Pacific Northwest. Fall recruiting had ended and there wasn’t much in the way of full-time hiring going on, and the first-years were busy with the internship hunt. The highlight of this quarter was getting to work alongside first-years to help share the burden of organizing club events and extracurriculars. 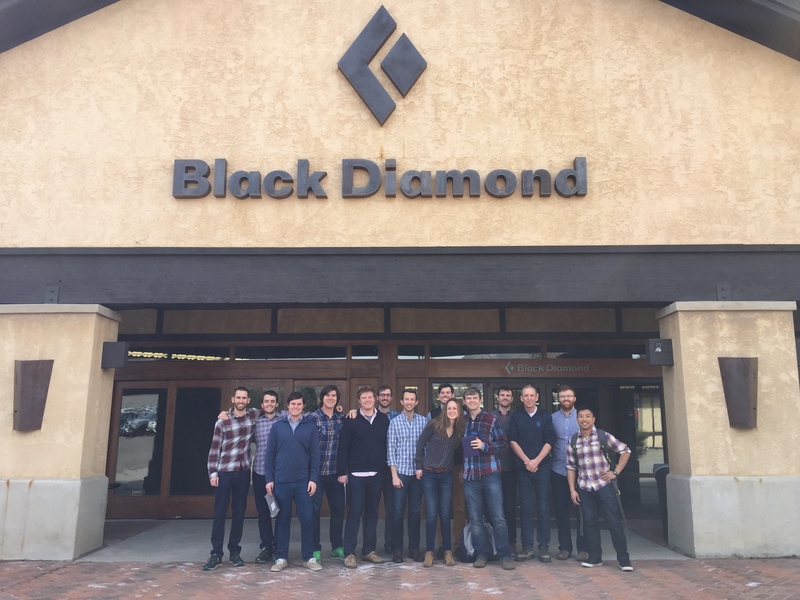 My absolute favorite club event of this quarter was the first-ever Outdoor and Sports Industry Club trek to Salt Lake City, where we visited Backcountry.com, Black Diamond, Petzl, and Park City Mountain Resort. We saw firsthand what it was like to bring some of the industry’s most iconic brands to customers, and met with many key leaders in these companies to talk about strategy and their career paths. The other highlight of this quarter was building the team for the 2016 Rainier charity climb. Over 40 busy MBA students took part in the training regimen for a chance to be a part of the final climbing team, which meant a lot of weekends and mornings devoted to team workouts and hikes. I’m still amazed that we would get so many people to take the time out of their busy schedules to go run around Green Lake in the rain! And so we come to spring quarter. For many second-years, this is the chance to relax (word of advice: don’t take 17 credits this quarter) or to focus on the full-time job search. The folks who delayed their full-time job search have an endless amount of options to choose from in the spring, which shows that many of my fears turned out to be unfounded. Second-years are hard to find this quarter. Some people graduated early, some folks are taking only evening classes, and others are only on campus one day of the week. The first-year class assumed the mantle of responsibility for the clubs, so there is even less for the second-years to worry about. We’re even starting to meet some members of the Class of 2018, who will be starting their MBA journey in the fall. The cycle continues. I not-so-secretly tried to find out who the strong climbers were so that they’ll help with the Challenge for Charity Rainier Climb next year. And suddenly, there’s only 4 weeks left. It’s both exciting and sad to be so near the end. After this, it’s back to the ‘real world’ and the rhythm of the workweek. It’ll be great to stop thinking about homework and team projects on the weekends, and it’ll be really great to make money again. On the other hand, there won’t be any ‘meet-the-firms’ or pub clubs either. There won’t be that day to day interaction with the Class of 2016 anymore. Everyone will go off to different parts of the country and start their post-MBA careers, and thoughts of finals and team projects will eventually fade and be reborn as rose-colored memories. Fortunately, the great thing about being in a small program is that it is a pretty tight group. When we go back to the real world, we’ll be able to leverage all the friendships and connections in this program to help each other solve problems. I feel like I can reach out to just about anyone in this program and they’ll answer. Time will keep flying by and I may eventually forget a lot of the course material, but I won’t forget about the people here. Nelson Tang, Class of 2016, is ready to graduate and start working in corporate finance at Intel. Prior to the MBA, Nelson served a variety of product roles as a Captain in the Air Force. In his free time, he tries to climb, snowboard, and get outside in the Pacific Northwest. Find more about him at www.nelsontang.com.